A week ago I received a message from a distressed family writing about a loved one in the final stages of living. The members of this family were informed by hospice care that their dying relative, a 95-year-old father/grandfather with dementia who still recognizes the family and talks with them at times, had come down with pneumonia. They were told he had no chance of recovering due to his reduced lung capacity. As a result, he had been put on 100 percent oxygen (pure oxygen delivered by a ventilator). Concerned with the fact that their loved one had not been provided any nutrition or hydration by tube, but rather was being given “thickened water and juices,” they asked two different Catholic priests what the Church teaches on this question. They received two very different responses and were confused. They asked this question: Should palliative care include nutrition and hydration by tube even if the chances of living a long time are non-existent? Or, to put it another way, they wanted to know if palliative care could be a guise for slowly starving the patient to death if he could not take in food on his own. Their e-mail raised a red flag because of the evidence we have collected regarding pro-euthanasia groups like Compassion & Choices that argue in favor of defining nutrition and hydration as “treatment” rather than basic comfort care, especially when it is delivered by tube. In view of this fact, I suggested to them that the best course would be to monitor the situation closely. It might well become obvious to them that providing nutrition and hydration to their dying loved one by using a feeding tube might make him more comfortable during his final days. I should like particularly to underline how the administration of water and food, even when provided by artificial means, always represents a natural means of preserving life, not a medical act. Its use, furthermore, should be considered, in principle, ordinary and proportionate, and as such morally obligatory, insofar as and until it is seen to have attained its proper finality, which in the present case consists in providing nourishment to the patient and alleviation of his suffering. . . .
Death by starvation or dehydration is, in fact, the only possible outcome as a result of their withdrawal. In this sense it ends up becoming, if done knowingly and willingly, true and proper euthanasia by omission. . . . These simple words represent Church teaching and can bring clarity to difficult situations like the one described in the e-mail we received. Please keep this elderly gentleman and his loving family in your prayers. 1. Remember in this age of direct and indirect killing that a human being’s dignity is never measured by his age, health, or condition of dependency. 2. 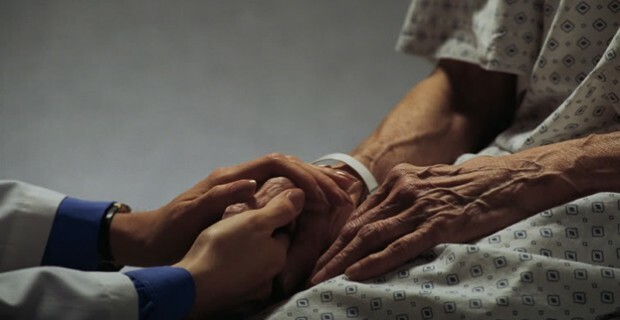 The care that is being given to the dying should never have as a goal the INTENTIONAL early death of the patient. 3. Share St. John Paul II’s words with clergy and members of your family who may be confronted with questions similar to those noted above. 4. Encourage hospice care providers and other health care professionals who work with the dying to become familiar with these teachings. And remember, INTENDING death is never ethical health care.